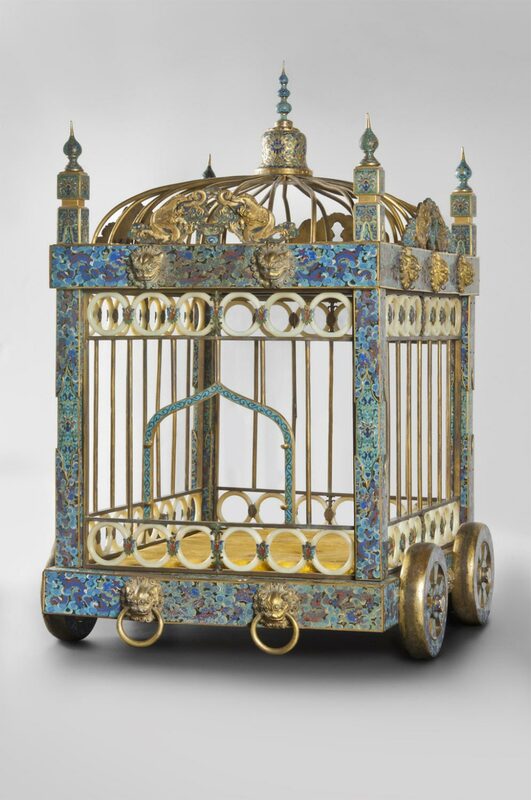 This elaborate dog cage epitomizes the luxurious life of the imperial court during the long reign of the Qianlong emperor, when the extravagant display of wealth extended even to the accouterments of the imperial kennels. The body of the cage is decorated with the intricate enameling technique known as cloisonné, in which copper wires (or cloisons) are used to separate areas of various colors mixed from metal oxides that are then fired at high temperatures to harden. 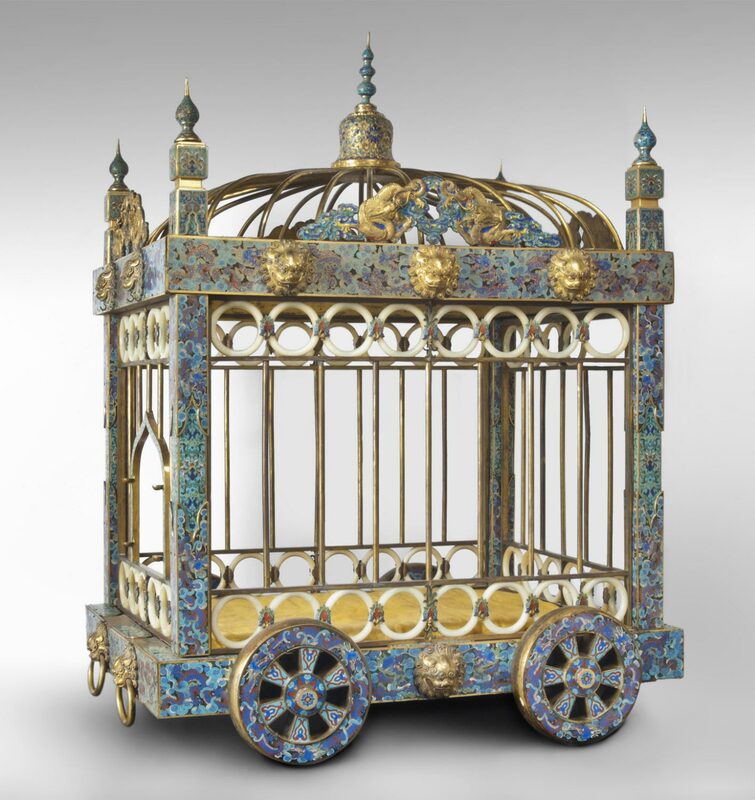 The finials at the top of the cage as well as the five-clawed dragons and lions' heads around the perimeter are gilded, and rows of jade rings complete this miniature palace on wheels. 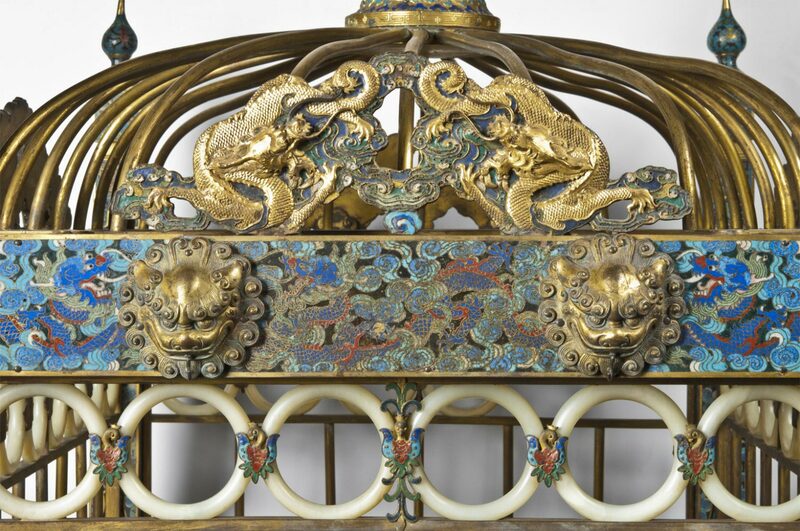 The emperor was said to be especially fond of cloisonné and had workshops that specialized in the process established on the palace grounds in Beijing, where this cage for a favorite pet dog was undoubtedly fabricated. Felice Fischer, from Philadelphia Museum of Art: Handbook of the Collections (1995), p. 34.